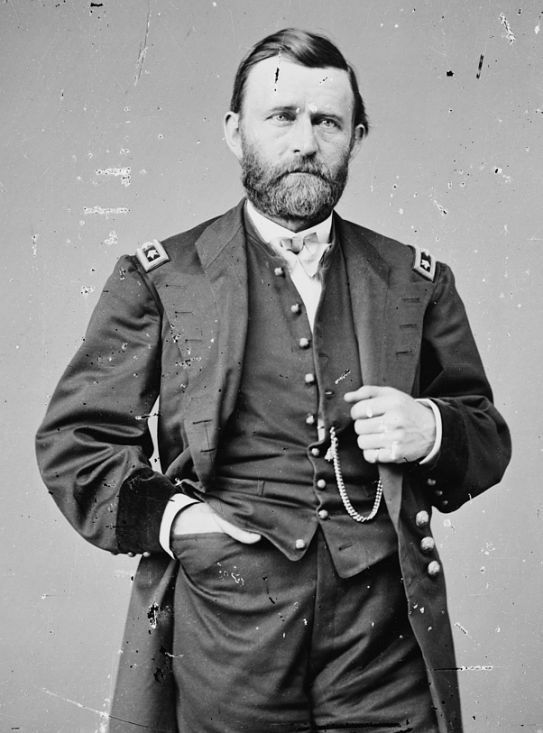 What made Gen. Ulysses S. Grant sign the order for the expulsion of all Jews from Tennessee, Kentucky and Mississippi in the midst of the Civil War? The eve of Hanukkah, 25 Kislev 5623 — 1862. A snowstorm raged while the town’s Jews gathered around the hanukkiah in their homes. The scent of latkes filled the warm living rooms, dreidels were spun, blessings sung. Suddenly, bangs on the door and loud calls: “Jews Out!” Copies of an expulsion order were nailed to the doors. General Order No. 11 was on. Sounds like a classic pogrom in Europe or North Africa? Not exactly. The above took place not in Galicia, Baghdad, Aden, Prussia, Alexandria or the Atlas Mountains, but rather in the small U.S. town of Paducah, Kentucky. General Order No. 11 was carried out not by Polish nobles, Slav tenants, Spanish inquisitors or SS officers, but by Yankee soldiers. At about the same time, across the ocean, Karl Marx was laboring on his masterpiece. Perhaps Marx's work can explain the reason for this with some simple economic principles. As we know, the official reason for the outbreak of the Civil War was slavery. Before the war, that it until 1861, some 32 million people lived in the United States. Of the 12 million in the South, four million were slaves, a free resource that the white cotton tycoons were not going to give up without a fight. Historians disagree as to the exact causes for the disputes that led to the actual war. Was it the bleeding heart of the North awakening after the publication of the sentimental novel "Uncle Tom’s Cabin"? Or the news about the cruelty of the slave catchers chasing blacks up the Mississippi River? Or the rage after the execution of the white abolitionist John Brown? Or the secession of the South from the Union? Soon enough it became a known “fact” that all the Jews are profiteering from cotton, which had very little to do with reality: The fact was that out of 200 sellers who traded with the South, only four were Jewish. The concept of fake news was certainly not made up in 2016. Was Grant acting on personal motives? Was he really an anti-Semite? As it turns out, not just "greedy" Jews were trying to make profit from the war. There were also a few white Protestants who wished to do the same. One of them was Jesse Grant, an unsuccessful businessman and the father of Ulysses S. Grant. 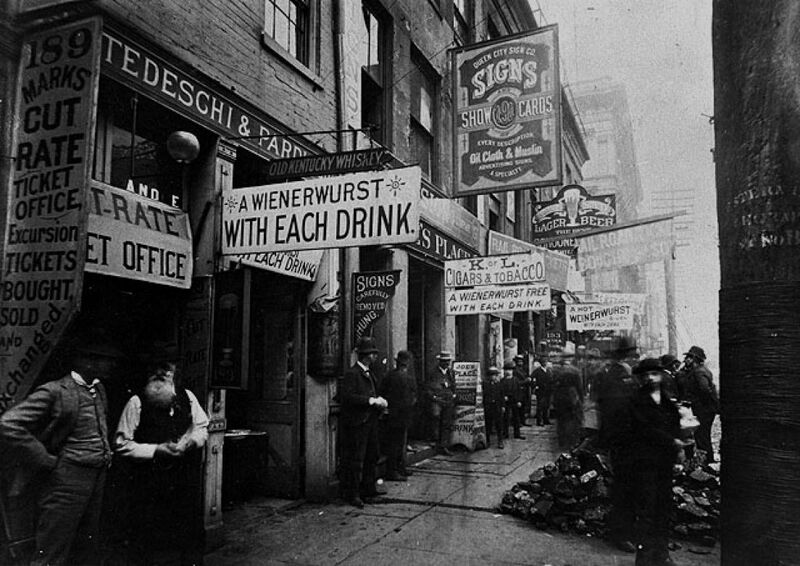 He had some business with three Jewish textile traders from Cincinnati, the Mack brothers. When his son heard about the deal, he was furious, convinced that the brothers were swindling his father. Soon after, General Order No. 11 was issued. Three days later Lincoln was supposed to sign the Emancipation Proclamation. How can that be reconciled with such a racist act as deporting the Jews of Kentucky, Tennessee and Mississippi? Lincoln ordered a telegraph sent to Grant, telling the general to cancel General Order No. 11. The latter obeyed right away, and the Jews of Paducah returned to their homes. 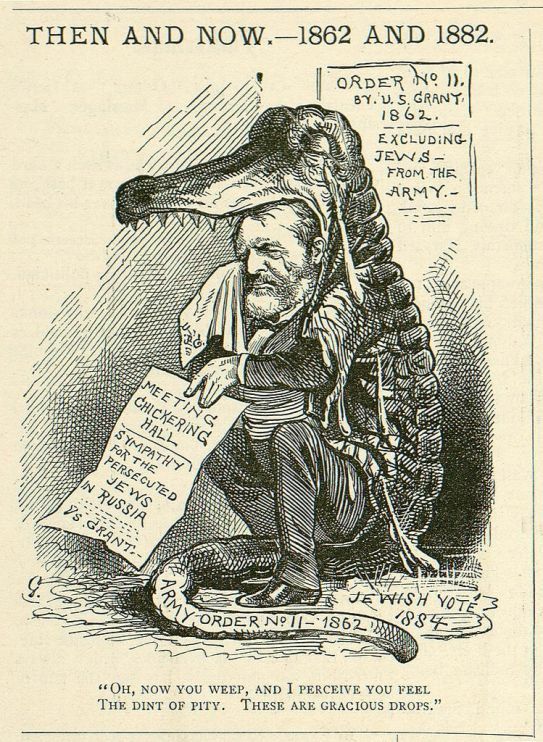 Four years later, in 1869, Grant became the 18th president of the United States, and turned from an anti-Semite to one of the most pro-Jewish presidents ever. He was the first president to inaugurate a new synagogue, he appointed the largest number of Jews in governmental positions and fought against the deportations of Jews in Russia by the Czar — only seven years after issuing General Order No. 11. Beit Hatfutsot blog tells the story and makes accessible materials from the history of the Jewish people, in Israel and the Diaspora, from its distant past until our times in the modern State of Israel. Culture, people, curiosities, new angles on phenomena and well-known cases, or turning the spotlight on those we have never known about.